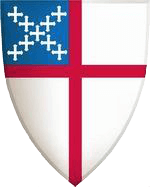 On Sunday, March 24, Susan E. (Sue) Kurtz was ordained into the Sacred Order of Deacons by The Right Reverend Mark Van Koevering, Bishop Provisional of the Episcopal Diocese of Lexington. The primary focus of Sue's ministry is establishing and supporting alcohol and substance abuse recovery programs in Franklin and surrounding counties. 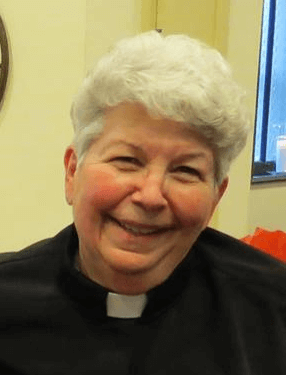 Originally from Michigan, Sue first felt the call to Holy Orders in her teens, but marriage and family intervened. She and her husband, Chief Warrant Officer (ret.) Richard Kurtz, lived and worked in many spots around the U.S. and Europe during his Army career. Sue raised a family and was very active in military and civilian chapels and congregations; she had a lengthy ministry with Hospice, and has been an active member of Ascension for over twenty years. In May she will complete the four-year course of study and discernment which has culminated in this ordination.